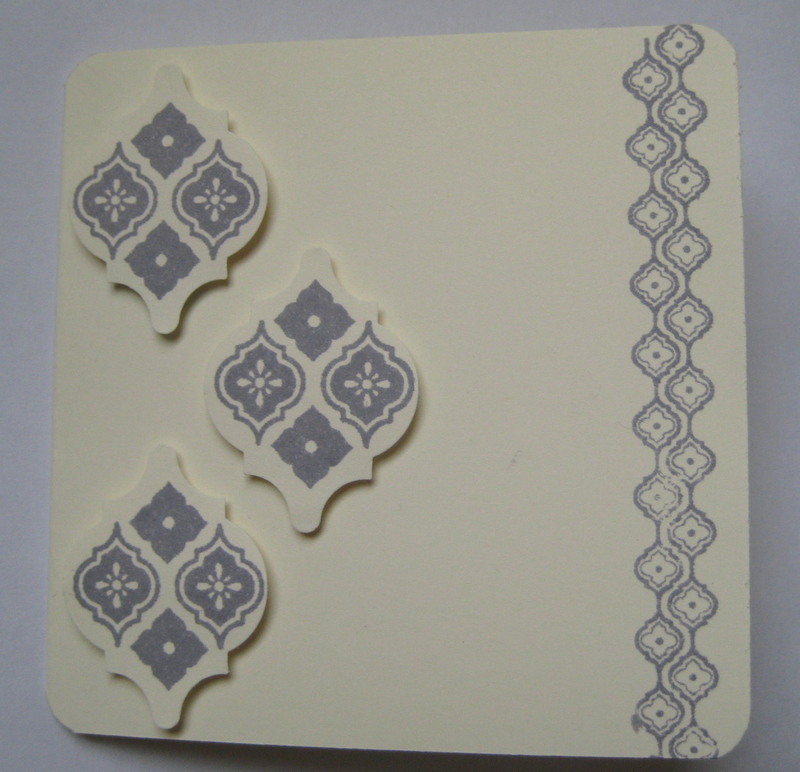 Simple, and very pretty. 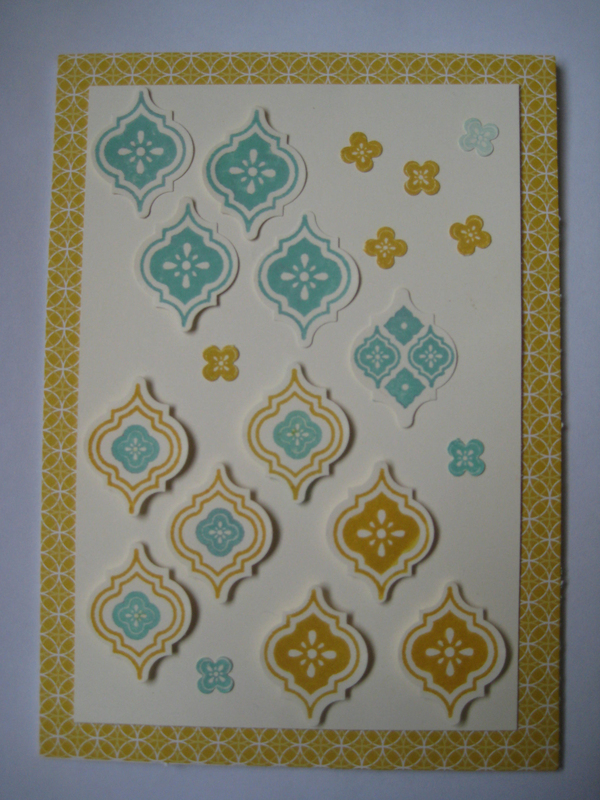 A small card made with Very Vanilla cardstock stamped with Wisteria Wonder. This one, I am not 100% sure about. It is a perfect example of how things which look right when you dream them up, don’t look quite right on paper.